I like reading Dr. Kevin Pho’s blog. I read, or at the very least scan, his diverse collection of essays every day. The posts themselves are mostly good, but I like reading the comments section more, and most of all I like the anonymous comments, because those are rare insights into how regular, everyday doctors think. I read Health Affairs and JAMA and NEJM and the New York Times to figure out what “thought leaders” say, and medical associations’ websites for “leadership” messaging. And guess what? The anonymous, and sometimes not so anonymous, opinions of the rank and file are diametrically opposed to official party lines. Of course, most doctors don’t read or comment on blogs, don’t speak at conferences and don’t write opinion pieces for mass media outlets. Over the years, I spoke with many members of the silent majority, not a representative sample by any means, but a good indicator that anonymous commenters are closer to being representative of popular opinion than their much more visible counterparts, most of whom have quit the practice of medicine years ago, if they ever practiced at all. There is a dark cloud of discouragement, dejection, disheartenment, and all other synonyms of despair, hanging over the medical profession. It’s not that all physicians live in constant gloom and doom, although quite a few do, particularly those still in private practice, but the profession itself seems to be losing its luster. Some doctors seem content to pragmatically adapt to the new and duller definition of their old profession, but in other quarters there is deep seated anger stemming from the perception that this is something purposely inflicted on physicians by a power hungry government, greedy businesses and an ignorant and ingrate populace. No matter how the conversation starts, the question seems to always be whether there is anything that can be done to turn the tide. And no matter what is said and done, the exchange of opinions always devolves (or evolves, depending on your position) to money – cash, payment, reimbursement, fees, compensation for long years of learning and training, and for performing arduous work that is really (or at least should be) beyond monetary valuation. And this, my friend, is the most counterproductive narrative of all. This is where you shoot yourself in the foot, albeit with undeniable gusto. Regardless of its merits, this is a nonstarter. The hurricane hitting health care today can be traced in its entirety to money. We would not be having this dialogue if medical care was affordable for the average American, and if the sum total of national expenditures on health care would be hovering around 10 to 12 percent of the inadequate measure called gross domestic product (GDP). You can engage in the futile exercise of splitting hairs trying to allocate blame for runaway costs away from doctors, but you would find yourself outgunned, outnumbered, and late to the game. The mass media is chockfull of randomly chosen inflammatory examples of the small fortunes charged by physicians and hospitals for stitching a pinky finger. The shining bright lights make every pharmaceutical hotdog cast a shadow the size of the Keystone XL. Large insurance companies are providing interviews to anyone willing to listen, on their strategy for keeping premiums affordable for the working man by expelling “low value” providers from their “high value” networks. And Medicare just announced that it will be releasing information on how much money it pays to individual physicians, because the “public has a right to know”. How do you fight that? The same way George Washington fought the war of independence – you redefine the battlegrounds and meet the enemy at a time and place of your choosing; a time and place where your inferior force is actually an advantage. So first of all, you don’t discuss money, and you certainly don’t go into endless tirades about your accounts receivable and accounts payable over the last 30 years. Why? Because complaining about the frosting on your cake while your audience is starving is not a very endearing or effective method for garnering support and sympathy. There is no way you can convince the nine out of ten Americans who would gladly trade places with you, that your work is hard, your life is hard, and your six figure income is inadequate compensation for lack of joy at the office. There is no way you can explain to a nation that makes on average around $50, 000 a year, that $150,000 is not good enough. And bluntly telling them that they are too stupid and too lazy to do what you do, and that’s why they are deservedly worse off, is not going to get you much applause either. The second rule of engagement is that you should never confuse your arguments with political partisanship. Why? Because, the moment you do that, you lose half your audience, and it doesn’t really matter which half. If you are ever going to win this battle, you need all the hearts and souls you can get. You don’t discount half the country by calling them irresponsible moochers, and you don’t throw out the other half by labeling them heartless disciples of Ebenezer Scrooge. Your best, and arguably only, weapon in this fight is that both halves still trust your professional voice. You don’t further diminish that trust by descending into the political swamp to meet your enemy. You pick your time and place. You choose to fight on the moral high ground. You took an oath to help the patient in front of you, to the best of your ability and judgment. Whatever modern enlightened technocrats think about ancient oaths, potions and incantations, there is an implied promise here to conduct one’s professional life in an ethically responsible manner, which is more than can be said about any other secular profession. So what happens when your ability is harnessed by entities whose sole raison d'être is to increase shareholders profits by any means necessary, and your judgment is subordinated to agencies that live and die within political election cycles? Your ability is steadily crippled by diluted training and limited practice, and your judgment is shelved in favor of shiny fly-by-wire instrument panels (medicine is like aviation, remember? ), configured by invisible and unaccountable hands. This is what the public needs to know and thoroughly understand. If you are going to speak up, make public statements, write blogs, start a movement, or just post an anonymous comment somewhere, you should stick to your high ground, your guns and your strategy to inform the public about health care issues that matter to individual people, their children, their parents and anyone else they hold dear. You can write stories, relate experiences, compose elaborate treatises, sponsor studies and do research, and all of these things need to be about the one patient in front of you. When people come to you for advice, they should understand that it’s not necessarily your advice they are getting now. When the frightened ask you what you would do in their place, they need to know that you may not be at liberty to give them an honest response. They need to know that advocating for your patients, may draw disciplinary actions from your handlers, and financial retribution from your masters. They need to know that medical ethics are largely outside your control now, and subject to lobbying and political patronage arrangements. They need to know that the archaic words of Hippocrates are turning into a largely empty exercise before graduation parties begin. But most of all, they need to know that you are asking them for help. 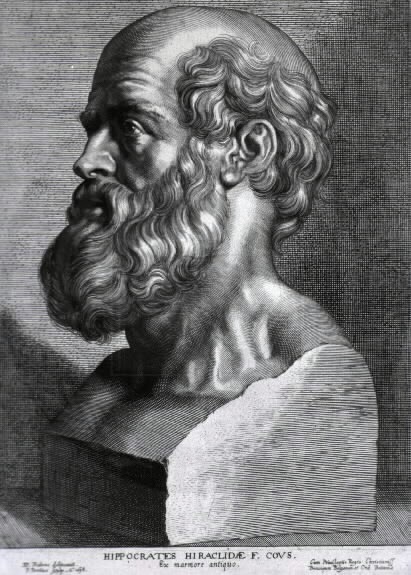 And next time you lament the loss of joy and the diminishing status of your profession, you will have to give Old Hippocrates some credit, because two and a half millennia ago he forewarned all doctors of the fate awaiting them, if his moral prescription was ignored: “If I fulfill this oath and do not violate it, may it be granted to me to enjoy life and art, being honored with fame among all men for all time to come; if I transgress it and swear falsely, may the opposite of all this be my lot.” What’s your lot look like these days? And what are you planning to do about it? I was reading the popular HIStalk health IT news/opinion site the other day when I ran into a blurb stating that beginning in 2014, a new “North Carolina law requires hospitals with EHRs to connect to the state’s HIE and submit data on services paid for with Medicaid funds”. For the uninitiated, HIE stands for Health Information Exchange, and in this context it refers to a federally funded organization whose mission is to facilitate clinical information exchange in the State. There are similar organizations in most every State, funded back in 2009, alongside Meaningful Use and other shovel ready economic stimulus activities, through the ARRA and its HITECH Act. The noble goal of HIE organizations everywhere is to improve care for patients by simplifying interoperability between disparate EHR technologies, allowing clinicians timely access to relevant, up-to-date medical information at the point of care. It makes perfect sense that North Carolina would like to “nudge” hospitals into sharing information with community physicians to improve care coordination and hopefully outcomes for its citizens. What doesn’t make any sense at all though, is the narrow requirement for Medicaid information only. Wouldn’t North Carolina want better care coordination for all people? And how does a hospital submit data only for a subset of services (not necessarily a subset of patients)? And why is this limited to submission, and there is no requirement that hospitals avail themselves of HIE data submitted by others? Obviously, I needed a bit more information to satisfy my foolish curiosity…. The first step was to check out the North Carolina HIE. Like many other organizations of its kind, the NC HIE chose to create a clinical data repository to be fed by prospective customers with “prescriptions, vaccinations, allergies, lab and test results, image reports, conditions, diagnoses or health problems and medical visit notes”, and with hospital ADT (admission-transfer-discharge) information as well. So far, like similar HIE organizations across the country, NC HIE is failing to garner active support from local hospitals. In an interview with the Carolina Journal earlier this summer, Mark Bell, CIO of the North Carolina Hospital Association (NCHA), suggested that “[t]ypically, a provider will not be thrilled with the idea of somebody else making money off of their data” which seems to be a “hot button topic”. Indeed, the NC HIE client list is remarkable for the absence of North Carolina’s famous academic centers of excellence and their affiliates. Mr. Bell’s hardly novel implication that some HIE organizations are seeking “to aggregate all that data and sell it to anyone who wants to buy that data, or for research, or a number of other uses” does raise the uncomfortable specter of patient privacy. According to its website, the NC HIE is an “opt out” exchange, which means that patients are “automatically” enrolled in the exchange whenever they “visit a participating doctor or hospital”, at no cost to the patient, of course. For inquiring minds, the NC HIE explains that it is only acting “as a “virtual medical record department” to collect and store medical records, and allow authorized providers to review and upload records”, and that “[h]aving a third party manage medical records is common practice”. Right. People may still opt out by calling a certain phone number or by mailing a certain form. As with most HIE organizations that engage in data accumulation, the “opt out” mechanism does not prevent patient information from being sent to the HIE, being stored in the HIE database, being disclosed to public agencies, or being used for other purposes when required or as permitted by Applicable Law. It only prevents disclosure to doctors and hospitals that are actually treating the opting out patient. With that in mind, let’s go back to the brand new Applicable Law. The original bill contained language stating that effective January 1st 2014 “any hospital, as defined in G.S. 131E-76(c), that has an electronic health record system shall connect to the NC HIE and submit individual patient demographic and clinical data on services paid for with Medicaid funds”. This is a pretty lucrative arrangement for the NC HIE, which stands to gain approximately $5.5 million per year from subscription fees (at $250 per bed per year) alone, and undetermined amounts from interface charges, which as we all know can run into tens of thousands of dollars for each facility. Forcing the rich and famous North Carolina health systems to support the floundering public exchange may have been good enough reason to introduce this legislation, but that’s not the end of the story. 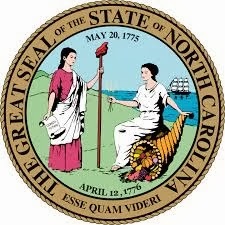 The final bill, which is now the law of the land in North Carolina, was amended to include the following: “The NC HIE shall give the Department of Health and Human Services real-time access to data and information contained in the NC HIE”, and goes on to specify that the “Department of Health and Human Services and the NC HIE shall execute an agreement regarding the utilization and sharing of data and information contained in the HIE Network”, in a manner that complies with HIPAA and federal law. Note that the amendment language is not specific to “services paid for with Medicaid funds”. It looks like the State of North Carolina came up with a rather innovative method for participating in what Mr. Bell from the NCHA terms a “hot button topic”. I am not sure how, or if, the State is planning to enforce this law, and I am not sure if hospitals will take the extra trouble (and expense) needed to segregate and submit to the State only those medical records that contain a Medicaid charge, but one thing is certain: individual patients in North Carolina have absolutely no say in this matter. And so we take one more step on the road to trusted exchange.